Summer is here which means we’re constantly firing up the grill for dinner. With this weekend being Fourth of July, a lot of us are going to be standing over the grill on Monday. 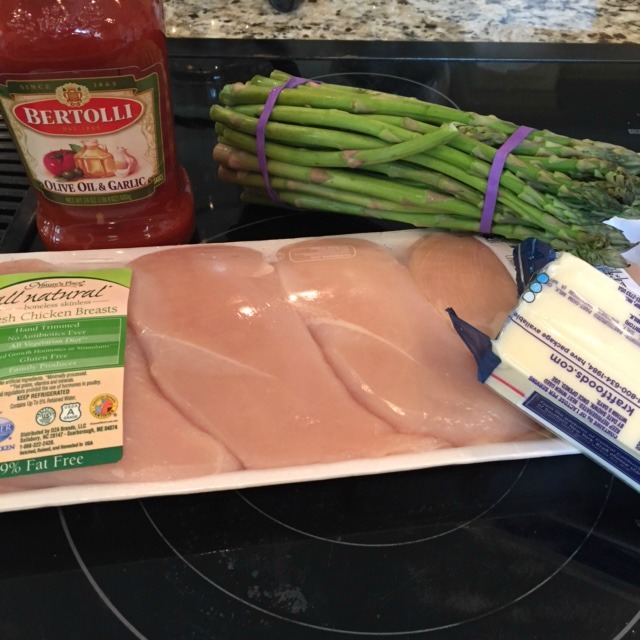 With my quest to healthiness, we’ve been grilling a lot lately so I’m trying to changing it up a little and trying to think of healthier alternatives of some of my favorite meals. 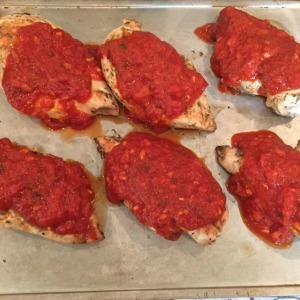 Today’s new meal… Grilled Chicken Parmesan. We’re savoring summer the Tuscany way. Normally chicken parmesan is done with breaded, fried chicken over a huge bed of pasta. I’m leaving off the pasta and skipping the breading/frying. In the end it still tastes exactly like I want it to but is only 250 ish calories compared to over 1000! 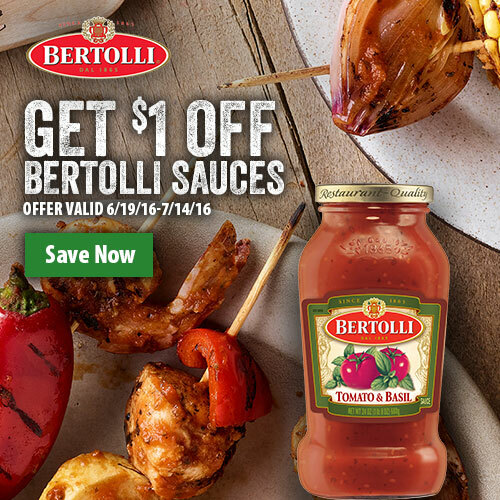 Right now you can get a coupon $1 off Bertolli sauce at Publix and you can get $1 off a lot of other tasty products for summer grilling. By grilling first, you are skipping the high fat step of breading and frying the chicken. The taste is still the perfect Italian blend without the guilt. Season to taste with oregano, salt and pepper to each side of the chicken. Toss the chicken breasts on a grill for 3-4 of minutes per side. Cook until the internal temperature reaches 160 degrees. 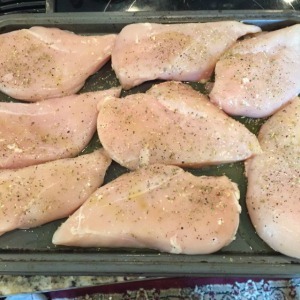 Remove the chicken from the grill and transfer them to a baking sheet. 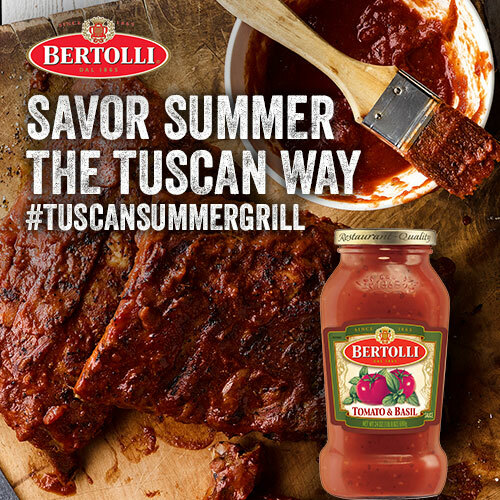 Top each piece grilled chicken with 1/4 cup of Bertolli Pasta Sauce. 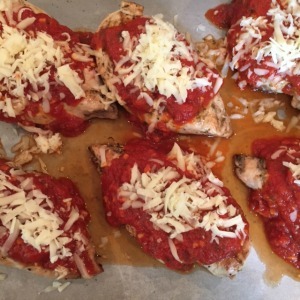 Add 1 oz shredded Parmesan or Mozzarella cheese to each piece of chicken. Broil in the oven for 1 minute until the cheese has melted and is bubbly. 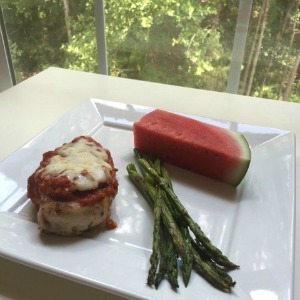 As an added bonus, we added grilled asparagus and sliced watermelon to the meal. It was the perfect summer dish. 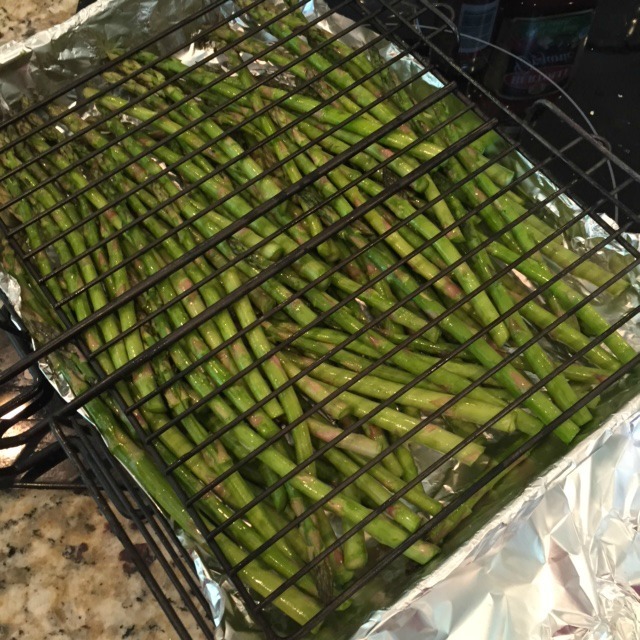 If you don’t have a grill basket, get one and have a blast loading it with all sorts of veggies! This post is sponsored by Mirum Shopper, but all opinions are 100% my own.